If you already own the new Gauntlet on PC, you can now update it to Gauntlet: Slayer Edition via the handy magic of digital downloads. Doing so gives you access to a host of new content, visual upgrades, and rebalancing tweaks. Check out the list below to see what this no-cost upgrade tosses your way. New enemy types added, and existing foes have some new abilities to enhance the mayhem. Gauntlet combatants can change special abilities by equipping different weapon ‘Load-outs’ in the Lobby screen. Heroes now have their own Unique Potion Abilities to wreak further destruction on their foes within the Gauntlet. A new game mode called ‘Endless’ has been added so combatants can test their might against the limitless hordes. Relics no longer require a potion to use! Instead, they now work with a ‘Cool-down’ system. No more hub. Now it's a map! Artwork, gameplay, and UI updates to make things a little prettier. 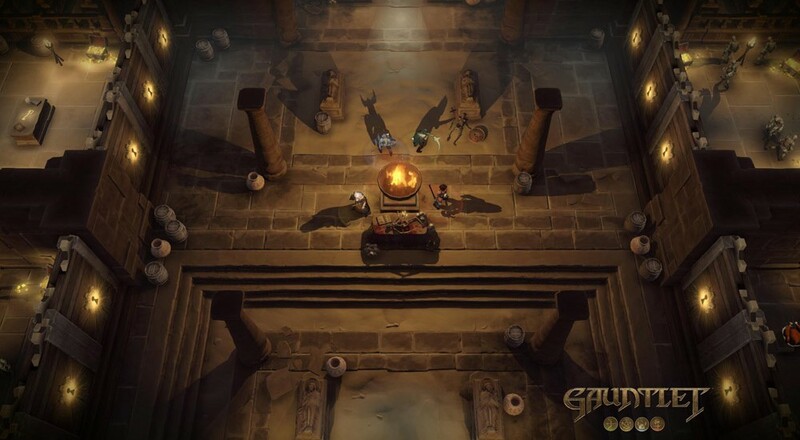 Gauntlet: Slayer Edition is currently available to download. It supports online co-op for up to four players. Page created in 0.2787 seconds.